Some of the problems people face may have their origins in previous generations, because someone may have led a sinful lifestyle or been involved in demonic activity. It is important for us to understand what generational bondages are and how to break them. Our freedom was obtained at the cross. Jesus came to destroy every work of the devil, regardless of how it entered our lives. 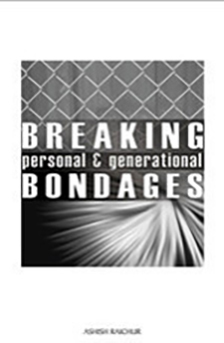 This book helps us understand how to identify and break personal and generational bondages. Be free! Live the abundant life that Jesus came to give us!